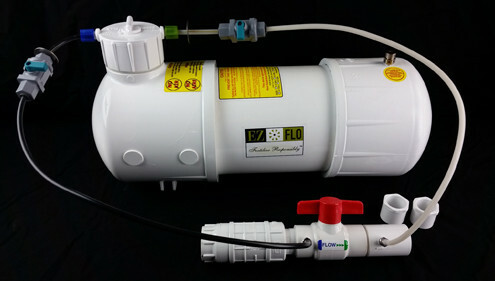 Backflow preventers are devices affixed to irrigation systems to prevent contaminated water from traveling back into the drinking water supply. Without these devices, harmful chemicals, bacteria, and other debris can enter your plumbing system and put your family and community’s health at risk. The importance of these tools is clear, but it isn’t always easy to tell which product is right for your system. To help you give your home the best protection, here are a few details to consider. Backflow prevention rules can vary depending on location, so it’s important to determine what is acceptable in your municipality. Rochester residents, for example, are required to install systems that use the containment method. Essentially, containment means you must have a separate backflow prevention device installed at every point-of-service connection to provide a clear barrier. For standard homes, this often means that the backflow preventer should be installed right after the irrigation system point of connection. If your lawn irrigation system is designed to introduce fertilizers, pest control solutions, and other chemical components into the sprinklers, you must choose a backflow preventer that can stand up to high contamination risks. Typically, this means installing a reduced pressure backflow preventer (RPZ). While generally the most expensive type of unit, RPZ’s consist of several valves that provide a secure barrier against backflow. If your irrigation system does not have a fertilizer injection system, the required backflow preventer changes to double check valve. Some backflow preventers—such as reduced pressure and pressure breaker vacuum assemblies—must be installed at least 12 inches above the ground to work properly. Double check valves have more flexibility. They can be installed below grade when code allows. They can also be installed vertically and still operate properly. Other types can not operate vertically. Choosing the best backflow preventer for your residential irrigation system isn’t something you have to do all on your own. If you’re unsure of which product is best for your home, turn to the specialists at Irrigation Tech. Providing irrigation installation and repair services throughout New York’s Finger Lakes region, Monroe County, and the surrounding areas, this team can assess your sprinkler system needs to determine which backflow prevention device will offer you the best performance and greatest peace of mind. To ensure your system remains protected, they’ll install these devices and test for proper function. Visit this lawn sprinkler system contractor online to learn more or call (585) 225-0380 to schedule service with a trusted technician.